GEAR CHANGES are one of the most important parts of a Form Guide. A set of blinkers put on a horse for the first time may make a horse a) switch on – and bolt in or b) fire it up so it pulls so badly it’s bowser is flashing long before the finish line is reached. If a trainer or owner have been setting a horse for a plonk – it may have no form – the only saving grace to them possibly “getting time” from the stewards is saying it’s form reversal is due to the blinkers going back on or whatever. The stewards can’t debate the point because they must authorise EVERY gear change. A trainer can’t just turn up to race his horse, pacer or greyhound and decide he or she will shove a set of blinkers on it. The Stewards will either authorise or disallow a gear change – up to and including acceptance time only. They have the power to scratch a horse who is presented incorrectly ie. 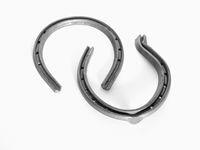 if a horse turns up to the races with “work shoes” on and he has not been “plated” with “race plates” and there is not time to plate it – it may be scratched. A horse may “throw a plate” , a shoe, on the way to the barrier. They may not have time to have the horse re-plated and the stewards may instruct the farrier at the barrier to remove all plates and for the horse to run with no plates or just front plates on or whatever. Norton Bit – for horses that pull hard - to help overcome that problem. 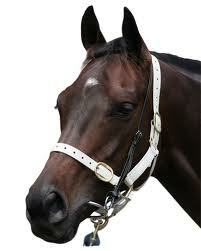 The Norton bit has the normal 2 rings (one on each side of the mouth) with 2 mouthpieces (bits) and a nosestrap. 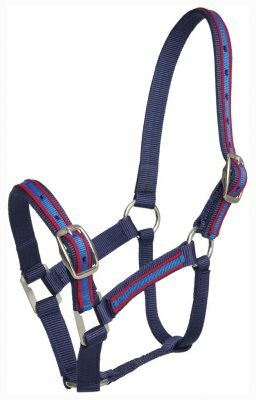 The reins pull on the bits causing a double scissor action within the mouth which pulls on the top of the mouth. A horse can still get it’s tongue over this bit although it is certainly harder for that to happen than with a normal bit. 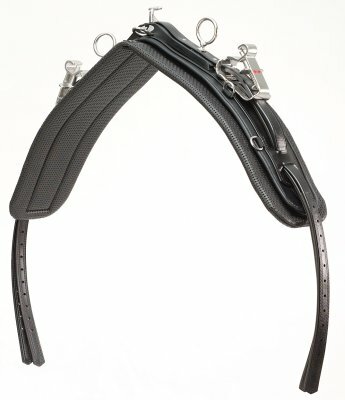 A tongue tie is often used in conjunction with a Norton bit to make sure a tongue problem is out of the equation. Pacifiers – a mesh invention put over a horse’s eyes used to try to help excitable horses relax or “pacify” them. The closely knit mesh ensures rse has to concentrate just to be able to see. The stewards may direct them to be removed if muddy conditions apply to negate the possibility of restricted vision. Glue on Shoes - for horses with very bad feet from a multiplicity of problems. Some horses have very thin walled hoofs (ie. there is no room left to put a nail in the thin wall to fit a plate) so a glue on shoe which is an aluminium plate covered in plastic has about 10 tabs on it – you put glue on the tabs and it sticks to the horse’s foot. (I guarantee punters should NEVER back a horse racing with glue on shoes – they win very rarely. One well known farrier told me they will “take four lengths off a horse”). Blinkers – can be either a one eyed blinker (for either of the near or the off side) or a complete set of blinkers covering both eyes. The idea of a set of blinkers is as the name implies to focus the horses’ attention on what is happening directly in front of it and ignore what is happening behind it. A horse has a much greater range or sphere of vision than a human. From a punting perspective “blinkers on” for the first time can sometimes “switch a horse on” to perform to their maximum ability. On the other side of the equation, an extra leg and heart and lung transplant wouldn’t improve some horses! Greyhounds may race in a full set of blinkers or just a near or off side blinker. Although it is not overly popular (in greyhound racing) blinkers are there to help them chase and concentrate on the “bunny”. Blinkers are also put on some greyhounds to stop them fighting in a race. Near Side/Off Side All riders only mount a horse from one side - the “near side”. If you stand behind a horse and look towards it’s head the left hand side is the “near” side and the right hand side is the “off” side. Bandages On/Off – straight forward as the name implies - a horse with bandages - but some top horses race every start in bandages so you really have to know what the trainer is putting them on for and that doesn’t appear in the gear changes – merely the fact that “bandages” are “on” or “off”. Lugging Pole – a round pole - the outer section is a hollow piece of fibreglass which contains an inner solid round piece of fibreglass (that slides in and out) and hooks onto the saddle at one end and onto the side of the head on the headcollar at the other end. It may go on either the near side or the off side depending which side the horse lugs. Hopple Length – each pacer who races in hopples (they may race unhopppled) has a registered hopple length. A horse must race in that exact length hopple every start. A trainer may apply to the stewards to either increase or decrease the hopple length. Many trainers experiment with hopple length as if they can let the hopples out say 3 inches (7.62 centimetres) obviously the horse can take a bigger stride to help it cover a given distance quicker.